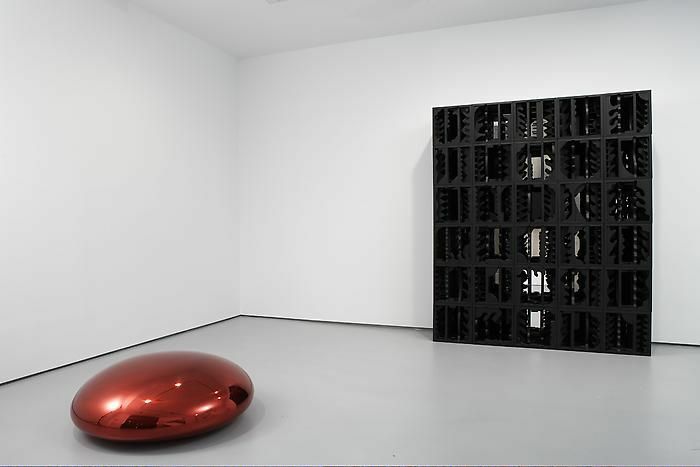 Greenberg Van Doren Gallery is pleased to present a thematic group exhibition of contemporary sculpture in various media, including wood, bronze, felt, steel and aluminum. Molded, Folded and Found is on view from October 16 – December 23, 2008 and includes work from the late 1970s to the present. 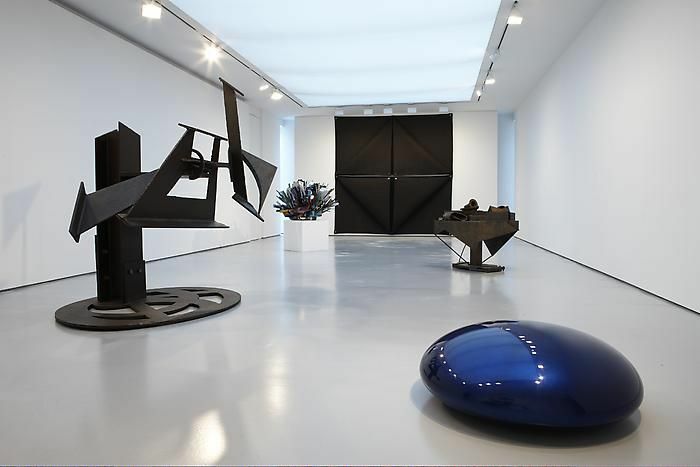 Tenets and techniques of modern sculpture – from cast and forged metal to found materials – is a central theme that comes together in this grouping of a cross-generation of artists. The earliest work in the exhibition is an iconic example from Robert Morris ‘Felt Series’ from the 1970s; made of multiple pieces of industrial felt whose corners are fastened and tied, this large-scale wallwork exemplifies Morris’ trademark of provisional minimalism. Louise Nevelson’s 6’ ft. high construction of found wood is an assemblage of darkly painted boxes whose contents are reflected in its mirrored backing. The imposing scale and severity of Nex Two, 1986-87, by Mark di Suvero is balanced by the cutouts and curves in its upright structure and flat support. 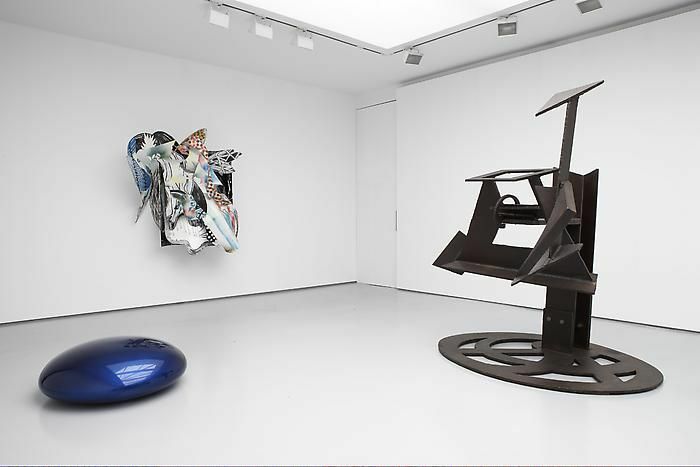 Frank Stella’s Nightgown, 1991, and several works by John Chamberlain take non-descript industrial materials – steel and aluminum – towards the painted baroque through their use of dizzying color, while Anish Kapoor goes the opposite direction in two mirrored monochrome pieces from his Blood Solid series. 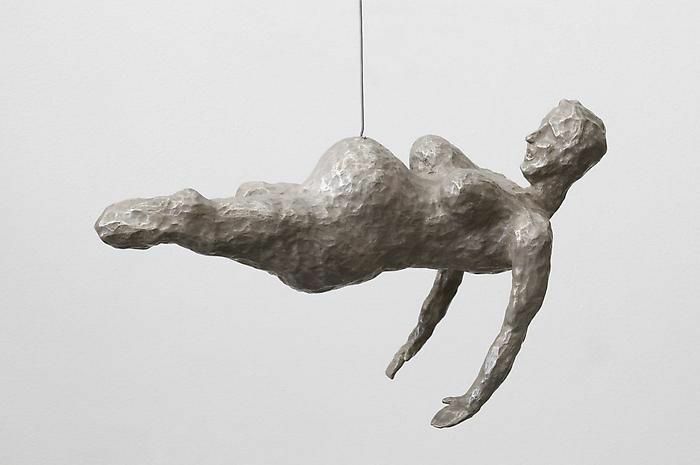 Figuration is represented in Louise Bourgeois’s cast and patinated Femme, 2005, which presents a dramatically suspended pregnant woman.